As the winter rolls in, the weather is turning nasty. Sometimes that means bitter cold mornings and nights, other times its fog, rain, snow and ice. Training through the winter is paramount to success in the spring and summer months, but often times it feels impossible. Barely survivable at best. For these reasons, we head indoors, and hop on trainers and rollers to get in the training. With uninterrupted conditions within the confines of your home, you can grind out the miles all winter in total comfort. Sounds great, right? Of course it doesn’t. Anyone who has ridden a bike indoors can attest to how tough and boring it can be. We ride bikes and train because to some degree, we like being outside, we enjoy seeing the world from two wheels. Staring at a wall, just pedaling, doesn’t exactly compare to the wind whipping past your face as you bomb a descent on a warm, May morning. However, you simply cannot continue to train outside during the winter like you can in warmer months. No type of gear can counter all the forces of nature and all conditions. And I’m even fairly stubborn in all of this, and will ride down to 0 degrees. But, I admit, it’s silly. At that point, you are so bundled up, you are essentially just trying to survive. It’s a game of how long can you stay out to brag about to your friends later via Strava. No helpful training is taking place here. It’s mainly just for your enjoyment (which I think is wonderful and healthy; bikes are meant to be enjoyed regardless of the weather). But don’t kid yourself and think you’re getting in good structured training looking like the Michelin Man. Inside we go. Onto the trainers and the rollers. A few companies have popped up recently to make this a bit more tolerable. 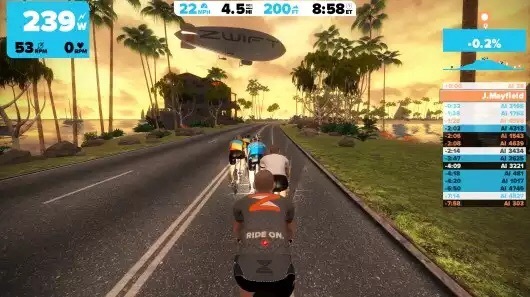 Zwift came out last year with the concept of turning inside riding into a game. You ride around a virtual world with your trainer, power meter, or speed sensor connected via ANT+ to your computer. You can race other riders, hit climbs, draft others and even sprint for the green jersey. Another company, Trainer Road, focuses more on the structured training side of things, developed a similar ANT+ connectivity to allow you to do very specific workouts. They have a whole host of pre-created workouts that will keep you hitting intervals and pushing your limits. The whole inside trainer thing is getting much more high tech, and there is a lot more we could say about it, but we’ll save that for another time. It still remains though, riding inside isn’t great. And perhaps, like me, you’re dreading it. We need to remember something though, riding inside is very good for you. In fact, I’d say it’s some of the best training you can do on a bike. Here’s 3 reasons. Forget heading to the mountains for a ride, or the fact you live at the beach, 100 miles from a hill. If you want to ride mountains today, you can ride mountains. Want to try out Alpe d’Huez? You can. You can ride with as much, or little resistance as you want. 10% climb for 10 miles? Sure. A long rolling country road? Definitely. You are in complete control of the resistance, and thus the terrain of your ride. Regardless of what type of trainer or rollers you have, it will never feel 100% like the real, open road. And that’s a good thing. The actual road is easy. There are downhills to rest on, tailwinds to relax in, and freehubs that let you coast. You don’t get that inside. You either ride, or you stop. While that becomes tedious after a while, it’s an extremely helpful training tool as it develops your muscles well for steady and consistent efforts. You’d be surprised how easy riding outside is when you’ve spent the whole winter with constant pressure on the pedals when riding. Riding without breaks increases your endurance, and is hugely beneficial to your overall base fitness. There is no denying the trainer is boring. Yes, there are ways to make it less so. Turn on the TV, watch a documentary, read a book. Even still though, you are working hard and not going anywhere. That takes its toll and the mental fatigue is often worse than the physical one when riding inside. Take that in stride, and tuck it away for races in the spring. Doing a 2-3 hour ride inside today, will make you much more mentally tough tomorrow. When you’re suffering 4 hours into a bike race in April, you’ll have more mental archives to look back to and call on. 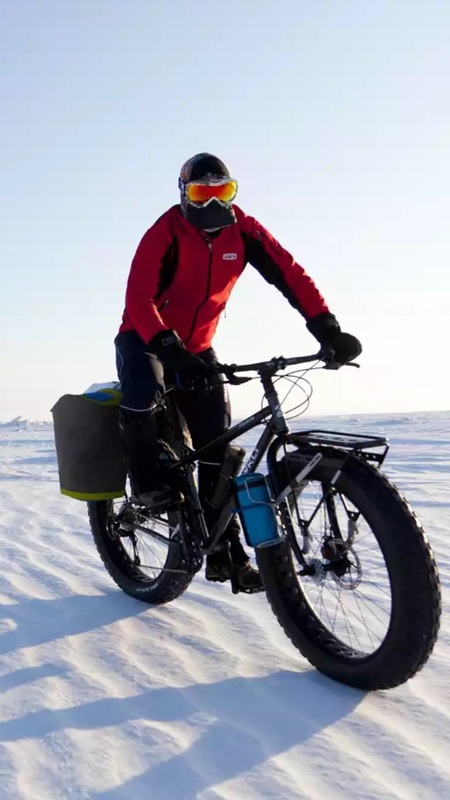 Winter riding is tough, inside or out. Don’t forget the massive benefits waiting for you on the trainer, though. Get on your bike, push hard, build your fitness, and reinforce your mind. Come spring, you’ll be happy you did.